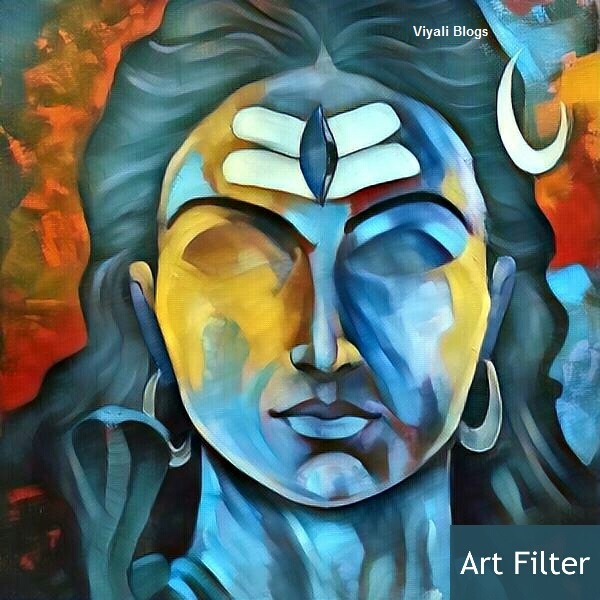 Why shiva has the moon on his head? 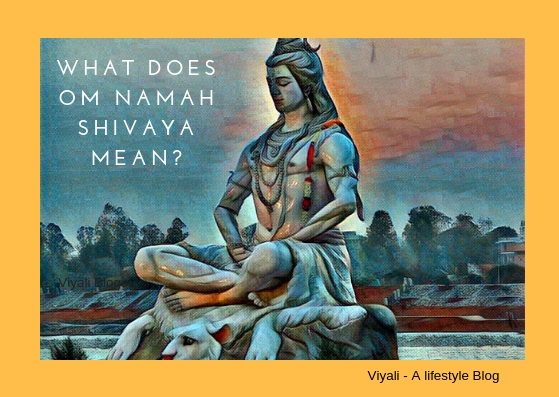 2 What is the significance of the Moon on Lord Shiva head? 3 Moon over Shiva's head represents the cycle of birth and death. 4 The full moon represents the dominant state of the person. 5 Crescent over Shiva's head helps peoples to personified their growth. 6 Waning moon assures you that Shiva is there for you in a hard time. 7 Moon over Lord Shiva's head depicts him as Pashupati. 8 There is another narrative of Shiva adorning moon on his head. Moon is the significant adornment of Shiva. The crescent indicates the cosmic elixir & time. Over the head of Lord Shiva, moon symbolizes the greatness of Shiva . Shiva is the god of all dimension; whether it is time, space, death or anything else. Vedas represent him as the most compelling formless supreme consciousness referred to Dark energy and dark matter. 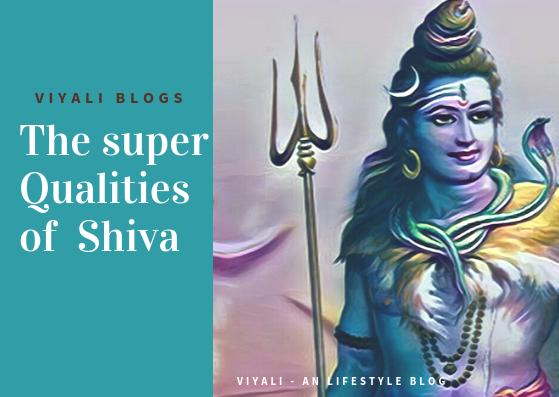 In the contemporary form, Shiva is the Lord of dynamism, and in this post, we have explained Why Shiva has the moon on his head. 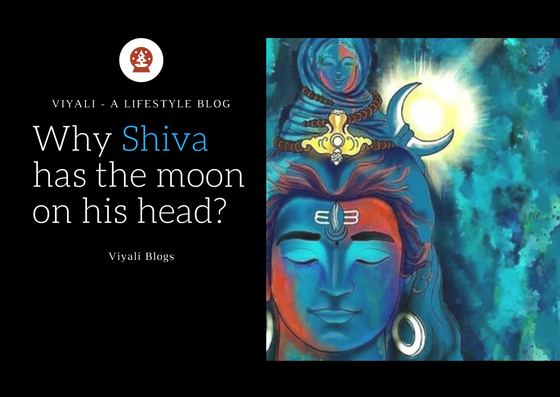 What is the significance of the Moon on Lord Shiva head? Shiva's attachment with Moon is pretty and primitive. The significance of the Moon is that Moon is attached to the numerous cultural implications, spiritual processes, and beliefs. The different phases of the moon represent the different time dimension which further leads to the lunar cycle in a calendar. 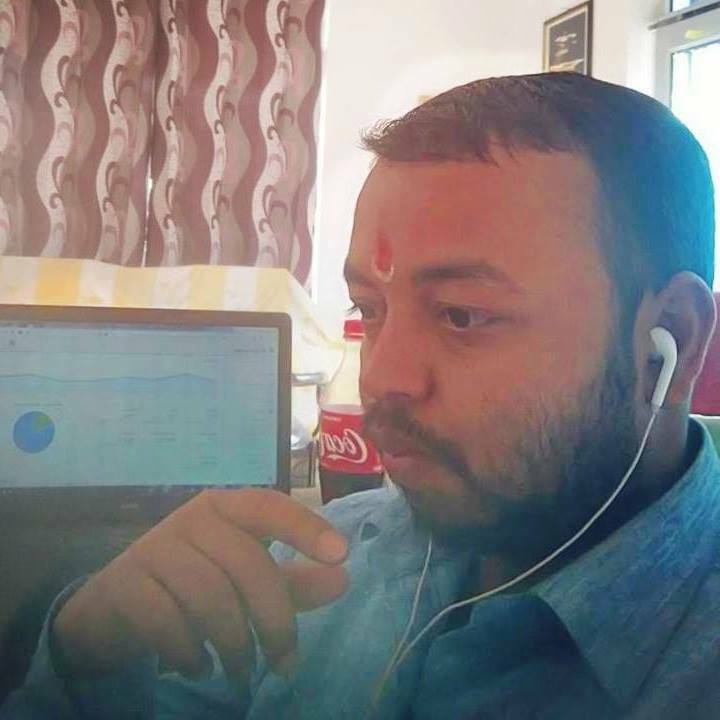 Time which is the base of the physical existence and Moon over the head of Shiva symbolizes Shiva as Mahakaal who is beyond the physical aspect of life. 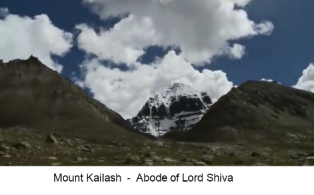 There is another spiritual significance of Moon which reveals why moon on Shiva's head? For that, people need to understand the spiritual significance of the Moon. Moon over Shiva's head represents the cycle of birth and death. The full moon represents the dominant state of the person. Crescent over Shiva's head helps peoples to personified their growth. Waning moon assures you that Shiva is there for you in a hard time. Moon over Lord Shiva's head depicts him as Pashupati. 1 - Moon over Shiva's head represents the cycle of birth and death. Moon ever-changing phases represent the Cycle of birth & death. Moon over the head of Shiva explains that Lord Shiva controls the cycle of birth and death. Those who take refugee to Mahadev, Shiva frees them from their fears and gives Moksha. 2- The full moon represents the dominant state of the person. The full moon influences human behavior, emotions, and psychosis. The perfect moon represents the accomplishment of the physical desires. Moon on Lord Shiva's head depicts him as Sarveshwara, the one who is omnipotent, omniscient, Param Brahma. 3 - Crescent over Shiva's head helps peoples to personified their growth. The various phases of the moon represent that people must keep learning new things to grow in their lives. 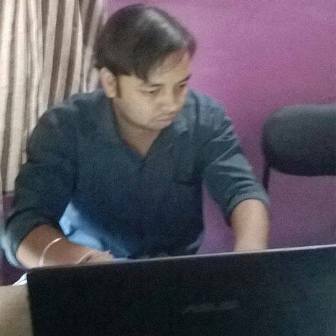 Knowledge is the base of prosperity. Moon over Shiva's head describes Shiva as Dakshina Murthy, Adiguru, the first guru of the world. 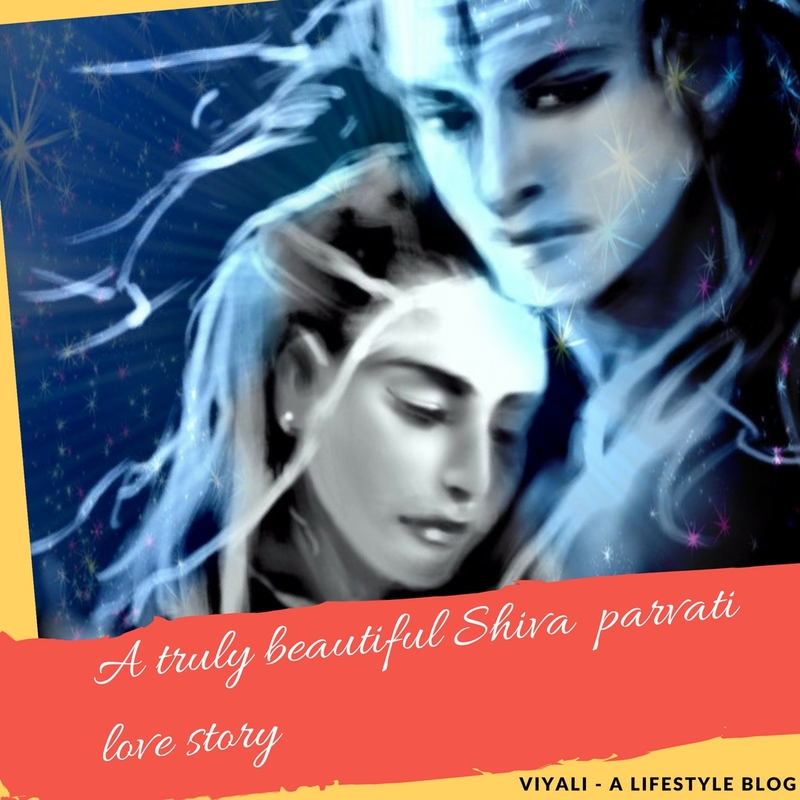 Goddess Parvati learned many lessons from Lord Shiva. Students can learn the secrets of Success and grow in their life. 4 Waning moon assures you that Shiva is there for you in a hard time. 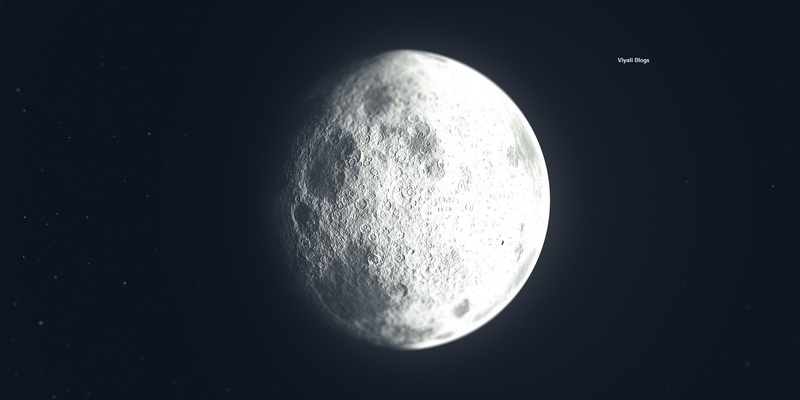 Waning moon defines low times in people's lives. In such scenarios, people must keep faith in God and let go the hard memories. Such time encourages you to achieve your full potential. Moon over Shiva's head defines that Shiva will take care of you in your low times. 5 - Moon over Lord Shiva's head depicts him as Pashupati. Every jiva is the form of Pashu including humans, and Shiva is Pashupati, the master of every aspect of life. Shiva is kind, and there is no one like Lord Shiva. Shiva is the Lord of generosity and compassion the one who shared the divine wisdom with the Sapta Rishis. Later, Sapta Rishis shared their intelligence with the rest of the world. The crescent over the head of Shiva displays Shiva's calm, and composite form which presents his Bholenath form and presents him as the Lord of yoga and simplicity. To master the highest level of yoga; people need calmness and inner peace. Shiva is known for his discipline, self-control, and asceticism. The master of meditation and moon over the head of Shiva displays the control and calmness of Lord Shiva on other creatures of the world. There is another narrative of Shiva adorning moon on his head. Shiva is known as Neelkantha, at the time of cosmic ocean crunching Halahal emerged from the process. Everyone got scared and requested Shiva to protect them from the adverse effect of the cosmic position. Shiva drank the cosmic poison to protect the universe which turned Shiva's throat blue. Goddess Parvati stopped the poison so that it could not get down towards the heart where Narayan resides. 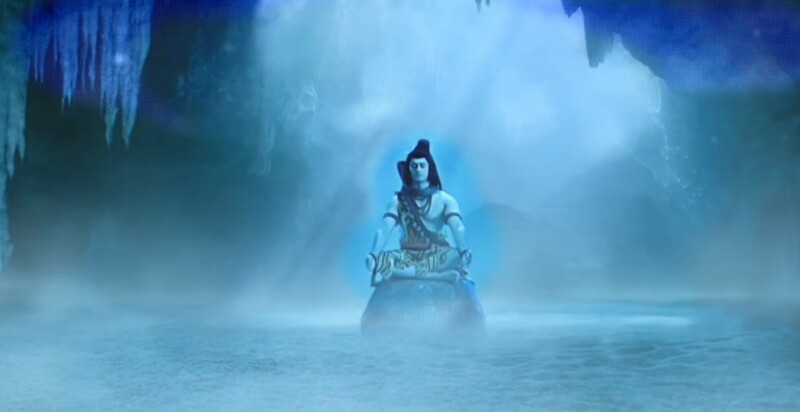 That increased Shiva's temperature, therefore, to calm down Shiva's body temperature, Shiva adorn moon on his head. Daksha was the son of Lord Brahma; his twenty- seven daughters married to Moon. All these 27 are the star constellations of Moon, and rest were married to other. Chandra remained emotionally attached to the Rohini and gave his most of the time to her. That was heart melting for Revati, another wife of Chandra and sister of Rohini. Revati was the elder sister of Rohini; she started getting depressed due to Chandra's ignorance. Revati tried to hide her emotion, but Sati acknowledged her pain. Revati reveals her weaker bond with Chandra, and Sati promises to help her. Unfortunately, Daksha comes to know about Chandra ignoring Revati. Prajapati Curse Chandra that he will start collapsing in coming days. After few days, Chandra starts waning. 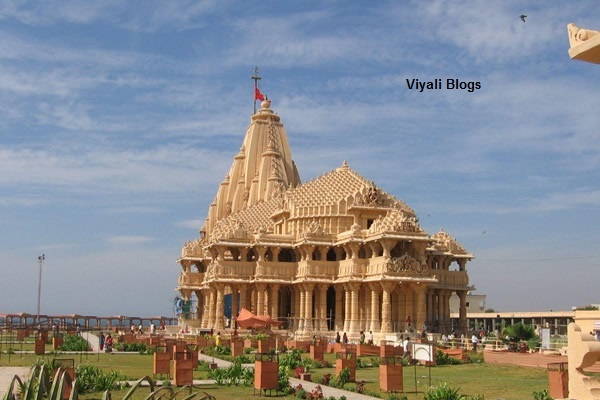 After getting advice from Lord Narayan; Chandra decides to worship Shiva on the bank of the western coast, Somnath, Saurashtra. Chandra's health was deteriorating by passing every day; after seeing the condition of Chandra, Revati requested Sati to help all the wives of Chandra. Sati decides to meet the sage Dadhichi and sage advice her to meet sage Markande who knows the mantra of stopping sudden death. Sati visits the ashram of sage Markande, sage welcome Sati as Goddess Sati as the Adishakti. Markande was aware that in future; Shiva will get married to Goddess Sati. Sati asks about the secret mantra; sage explained Mahamrityunjay mantra to Sati. Sage Markande also explained how Shiva protected his life from the deity of death, Yama. Sati gives thank to Sage and returns to the bank of Saurashtra, Gujrat. She gave the mantra to Revati and Rohini who chanted it for consecutive days with Sati and other sage. Finally, Lord Shiva appeared to Chandra and asked to take a boon. Chandra requested Lord Shiva to let him serve to Rudra and bless his life. Lord Shiva ordered Chandra that for fifteen days Chandra size will reduce, and after that, it will grow for next consecutive fifteen days. That saved Chandra's life, and Shiva adorned crescent on his head. 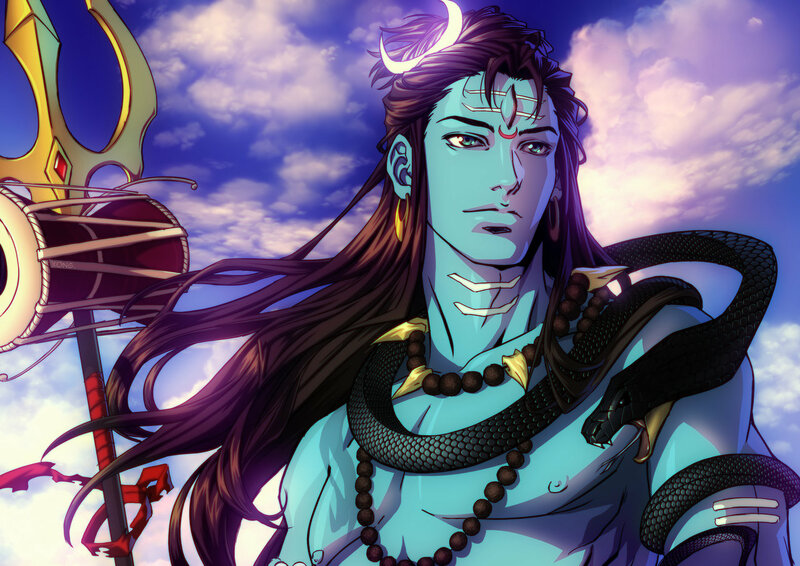 In this post, we have defined why Shiva has the moon on his head? Please, feel free to share it, on social media. We will be thankful for your kindness. 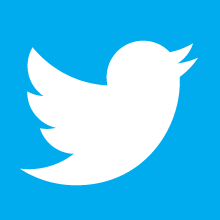 You can like our facebook page or twitter profile for more updates. If you like to get notified with email, you can subscribe to our email.